The writing events going on in the month of November seem endless. The one I want to participate in is BootsnAll’s 30 Days of Indie Travel. Are you participating? The concept is easy and encouraging: Each day to your emailbox, you are provided a prompt to blog on. Between moving and other projects, and inspired by fellow Matadorian Candice Walsh‘s interpretation, I will be doing a single post based on that week’s prompts. 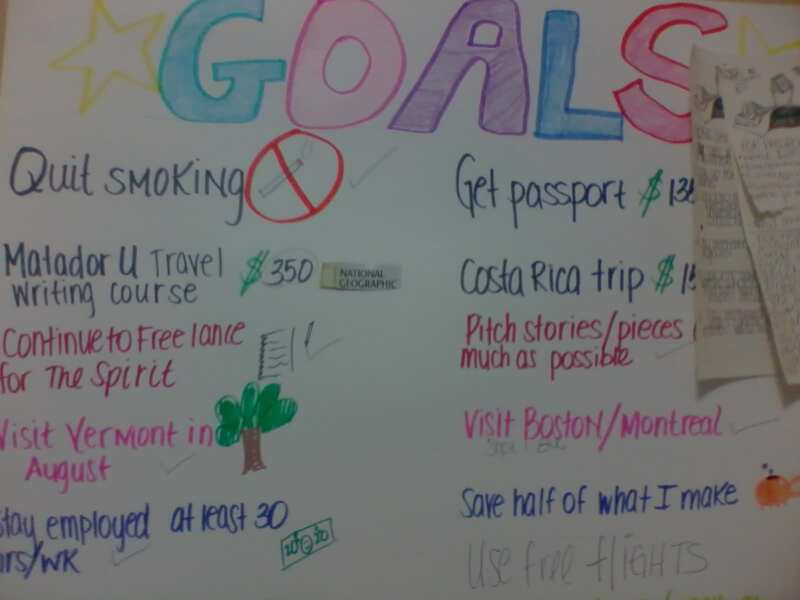 Prompt 1: GOALS- What were your travel goals last year? Did you accomplish them? What travel goals do you hope to accomplish this year? 2011’s goal list. Almost accomplished all! This year I had to start with the basics. I had just moved cross country from the Midwest to the East Coast to try something new. I was eager to travel up and down the East Coast. This year, I have been able to visit Washington D.C. twice, New York City three times, Maryland, Delaware, New Jersey, Vermont and Montreal, QC. I also achieved my goal of finally obtaining my passport and taking the leap into travel writing with MatadorU. This upcoming year, I am planning on following my dreams by completing an extended stay out of country, whether it be with a workaway program or teaching English abroad. Prompt 2: EMBRACING CHANGE- Change can be exciting and bring new joys into our lives. But it can present challenges that frustrate or annoy us. How has travel changed you in the last year? Did you welcome these changes or resist them at the time, and how do you feel about them now? I have tried to welcome any change that has come my way, no matter how frustrating or rewarding. I have developed a thicker skin learning the different customs and way or life of East Coasters. While I have stayed within my same country, things differ radically from back home, from how people drive and handle snow (being from Chicago, I’m a bit of an expert), to handling the ridicule that comes along with calling soda “pop.” I’ve learned to be proud of where I’m from and I believe anything that I’ve experienced thus far has only caused me to grow as a person. Prompt 3: MUSIC-Music and travel memories often go hand in hand. A song can inspire our explorations, or it can take us back to a specific place and time. Tell us about your travel playlist and what it means to you. Since moving out here I have been really into Hall & Oates. That sounds so unbelievably cheesy, but people LOVE Hall & Oates here! I have listened to a lot of Steely Dan, tons of soul/funk like Al Green, Curtis Mayfield and James Brown, and of course, tons of rap/hip hop. There’s something about Drake and Lil Wayne that make driving through rush hour bearable. Everyone makes mistakes. We forget to ask for Coke without ice in Mexico and spend the rest of the trip in the bathroom. Or we arrive at the airport for a 7pm flight only to realize the flight left at 7am. Tell us the story of your worst travel mistake. I’ll keep this brief only because it’s an experience that was very dangerous and embarrassing, but a few weeks ago, a friend of mine and I got lost in the Pocono Mountains at Jim Throrpe for 9 hours. The trails were poorly marked, as we were hiking in Pennsylvania Gaming Territory. It wasn’t until dark and a VERY treacherous, beyond-expert hike through the back country that we were rescued atop a mountain by 3 counties of fire departments. 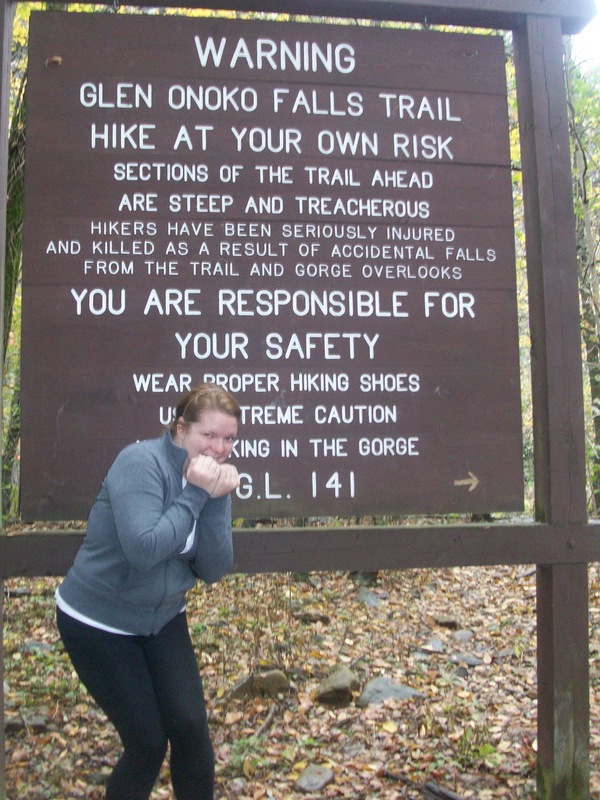 I will absolutely NEVER depart on a hike ill-prepared and without doing research on the trail first! What a nightmare.